Step up from the NAC 202 and you arrive at the outstanding NAC 282, which includes the NAPSC power supply unit optionally available on its sibling. The NAPSC independently powers the NAC 282’s digital and control circuits, leaving its audio circuits to either the power supply of a NAC 155 XS or NAP 200 power amplifier, or to one of our standalone FlatCap XS, HiCap or SuperCap power supplies. The result is even greater transparency and superior musicality plus, of course, all the flexibility you’d expect from one of Naims preamplifiers. Low resonance circuit boards and anti-vibration, resonance control feet maximise isolation, hence minimizing the effects of microphonic vibration on the highly sensitive electronic components. The NAC 282 features a silent microprocessor that sleeps during listening and controls all aspects of the amplifier. Optical protection circuits continuously monitor the power supplies ensuring safe shut-down in the event of a power cut. A user configurable 'Smart IR' system remote control is supplied. 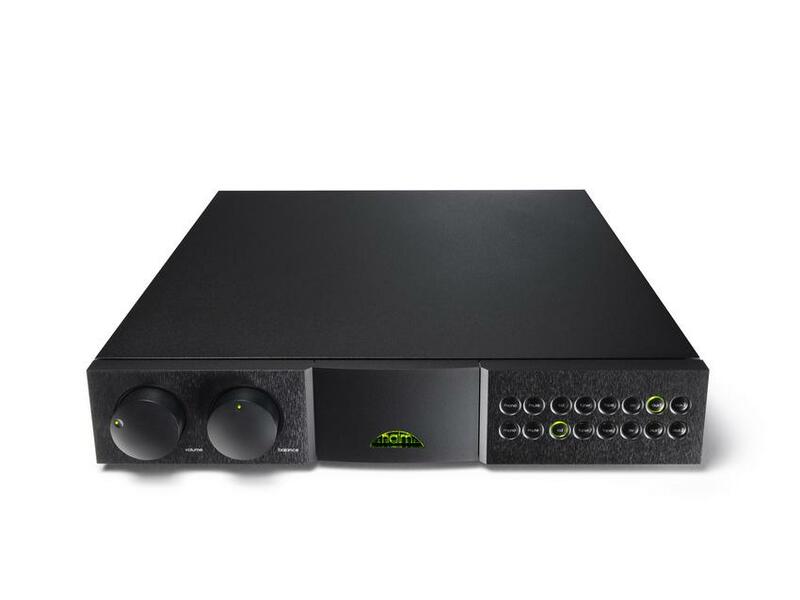 Two of the six inputs on the Naim Audio NAC 282 can be configured either as the usual DIN inputs, preferred for their superior earthing and impedance matching, or for use with the more common RCA phono connectors, allowing a wide range of non-Naim Audio cables and components to be used. A dedicated unity-gain input is provided for use with the Naim Audio AV2 processor or similar.